Nominations are now open for the Top Young CAs 2019 and One Young CA awards. Any active CA aged 35 and under is eligible for self or peer nomination. 100 Young CAs will be recognised for their work in the categories of Technology, Trust and Talent. 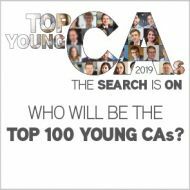 The search for the ICAS Top 100 Young CAs 2019 and next One Young CA ends tonight. Are you a Young CA looking for a platform to promote a worthy cause? Do you know a Young CA driving innovative change in their field? We want to hear from you! Each year, we look to recognise the best and brightest young talent of the ICAS membership to raise their profile and promote their work to fellow CAs and beyond. All CAs aged 35 or under are eligible for the competition, regardless of industry or location. You can nominate yourself or submit an entry on behalf of a Young CA you know. Nominations close at midnight, Friday 15 March 2019. ICAS Chief Executive Bruce Cartwright CA commented: “The calibre of last year’s Top 100 stands as testament to the great talent we have joining the membership each year. Our Young CAs are making themselves known and representing ICAS in industries and businesses across the world. Up-and-coming Young CAs can stand out more than ever as a key part of what makes the CA qualification and our organisation unique. “As we look ahead to the future of ICAS and examine how we can continue to best serve our members in a time of great change, up-and-coming Young CAs can stand out more than ever as a key part of what makes the CA qualification and our organisation unique. This year's focus is on three pivotal categories: Technology, Trust and Talent. We foresee the Young CAs having a positive impact in these areas as pacesetters for the future of ICAS and the profession as a whole. However, exceptional candidates operating outside these spheres of influence may be eligible for special recognition. One Young CA 2018 Michael Scott said: "I am looking forward to hearing from Young CAs who are motivated and passionate about local and global causes and are working with purpose and determination to make a difference. The competition is an opportunity for ICAS to showcase the variety of incredible talent the next generation of CAs has to offer. "Having had to be nudged on myself last year, I would encourage people to nominate someone that they believe would make a fantastic role model for Young CAs. Someone who is redefining the profession, proud to be a CA and using the designation to impact their communities and wider society. "The competition is an opportunity for ICAS to showcase the variety of incredible talent the next generation of CAs has to offer." The Top 100 Young CAs 2019 will be announced in July 2019 and will be featured in the Summer 2019 issue of The CA magazine. A further judging process will then commence to select this year's One Young CA, who will be announced in September 2019.